As a Top Rated Local® moving company, Scott’s Oceana Moving understands that people aren’t always able to afford our packing and assembly services. Which means you’ll have to tug quite a bit of your own items including furniture as well as knick-knacks onto the ground floor so that they can be transported into the moving truck. When it comes to moving, there’s always the chance that you’ll get hurt. Whether it’s your toes getting crushed by some piece of heavy furniture or dropping your mother’s vase and stepping on the shards with bare feet. 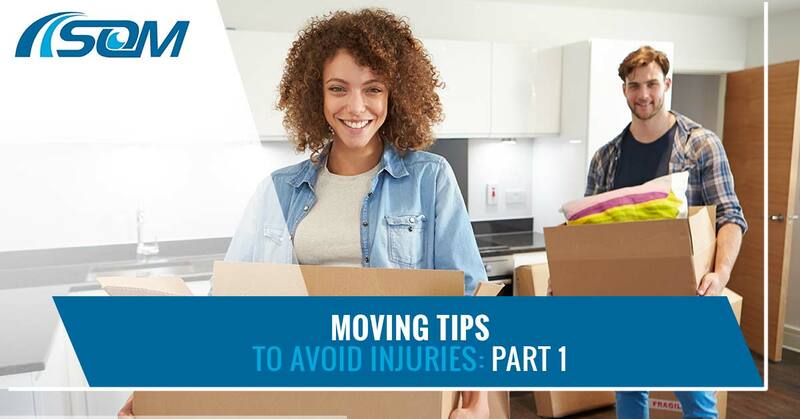 There are so many safety hazards that come into play with moving and though they’ll be present no matter what, there are some measures you can take to protect yourself and your family from getting unnecessarily injured during your move. It’s easy to approach that heavy armour that you had no problem hustling into your upstairs bedroom when you first moved in and think that you can do it again with the same finesse. Unfortunately, though, you probably aren’t as equipped to do that as you once were. The weight of the items you’re going to be maneuvering is something you should consider before you rush over and try and handle something by yourself. This is especially true when you’re packing boxes too. Simply for the sake of the construction of the box and not letting it break, it’s best not to exceed 50 lbs of stuff per box. Don’t want to use the scale to measure out every single one of your boxes? No problem, you should be able to approximately measure the box by trying to lift it. If you can lift the box without too much strain, it’s probably safely in the right lba per box range. When you’re packing each box, think of how far you’ll have to carry the box into each home as they both have different accessibility issues to consider. Just hurting your back is not necessarily the worst that could happen as there’s a whole host of things that could fall apart if the weight isn’t carefully considered. Before the moving day arrives, take time to go check out the areas in and around both of your homes. Figure out the closest spot that the truck can park and, if you need to, reserve the spot so it’s there for you when you need it. Look over the area and make note of uneven sidewalks and other walkways. If you can, mark those problem areas with brightly colored tape so that Scott’s Oceana Moving team can easily navigate those bumps in the road, and so can you. Scott’s Oceana Moving is here to make your move from Norfolk, Virginia Beach or Chesapeake to remain simple and uncomplicated. We don’t want to see you get hurt while moving your objects from place to place which is why we offer a host of services to keep your move straightforward. Our team of trained movers knows how to navigate tight corners, heavyweight and other moving obstacles that could prove disastrous to the inexperienced. Reach out to us when you’re ready to schedule your next move.